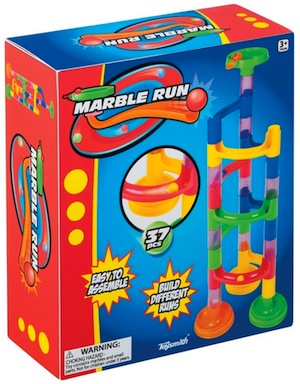 This 37 piece Marble Run game is easy to assemble and provides hours of fun. You can create endless marble runs for variety. 15 marbles are included to watch them run the course. Bright, colorful pieces are made of sturdy plastic.